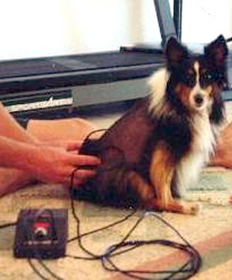 Anodyne Photon Therapy is used independently or in conjunction with exercise and manual soft tissue work. The system consists of four flexible treatment pads with 60 infrared diodes per pad. 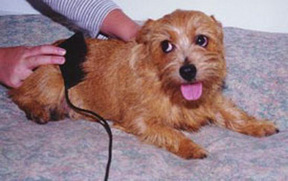 Your dog will experience no discomfort as a result of the Anodyne during the session, all they feel is a penetrating warmth similar to a heating pad.